Last week, Lost Arts Radio listeners were privileged to enjoy a visit from the president and founder of Vaccine Injury Awareness League (www.v-ial.org), Michelle Ford. She shared what’s happening in the nationwide movement for health freedom and specifically vaccine choice. She also told us about an extremely important event coming up on Friday, March 31st in Washington D.C., focused on taking the demand for health freedom to the rulers of our country (see www.revolution4truth.com for more info). To give even more emphasis to the importance of this event, and to the whole issue of freedom to take care of our bodies the way we choose and not the way government demands, we invited an incredible hero of that movement to visit with us on the show this week. Del Bigtree is the producer of VAXXED (watch it at www.vaxxedthemovie.com), one of the most important productions of our time. VAXXED, famous for being banned from the Tribeca Film Festival after massive pressure from the drug industry and government, VAXXED has been showed privately all over the country and elsewhere, waking up people to the ongoing crime of CDC, and the criminal scam of healthcare controlled by drug companies and their partner government agencies, at the cost of countless ruined lives and billions of dollars wasted to actually destroy the health of people who trusted the system to give them honest information and care. Del Bigtree has been a personal hero and inspiration to me since I saw his speeches about SB277 (https://youtu.be/DNaHUOaAfU8) in California, which is now law in that state, forcing parents to let their children be injected with whatever chemical cocktails government and the medical industry want them to have, regardless of how many kids are killed or maimed as a result. Del has been a courageous voice telling the truth about these issues in the face of great intimidation. He deserves our total support, and for us to honor his message by guarding our kids and ourselves against the potentially deadly threat of health care based on lies. I hope you make it a point to hear this show live or as an archive. Besides the value of the information Del will share, just being able to hear from such a brave and heroic person is inspiring and reminds us that every one of us can choose to live in the same spirit of courage and honesty in our own lives. 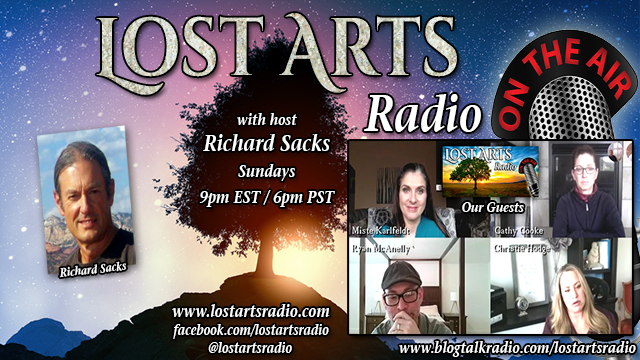 Join me, your host Richard Sacks, every week for fascinating discussions, amazing guests and useful information that you will not want to miss. If you want to support the work of Lost Arts Research Institute, please donate to our efforts at www.lostartsresearchinstitute.org, and tell others about the show. Also, even if you don’t have money available to donate to our work (and I don’t want you to donate money you need for yourself or your family), we have a new way now for you to help us if you want to. When you shop at Amazon for anything, instead of going to their usual website, go to smile.amazon.com. You can do all the same shopping at exactly the same prices. But 1/2% of what you spend goes to help our work. It will ask you what IRS-approved non-profit you want to support, and just choose “Lost Arts Research Institute” in Sedona, Arizona. It won’t cost you anything, and it will help us keep going. The Institute web site is still being developed, and deals with the work and larger project of the Research Institute, which we hope those with sufficient resources will support with donations that are now 100% tax deductible. 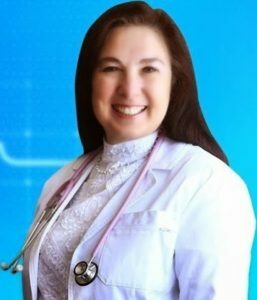 The Institute is the entity that will build and run the educational facility where principles of health and consciousness can be demonstrated and experienced. On the radio show website (www.lostartsradio.com) you will find links to the radio show archives, our articles, educational resources, announcements, the discussion Forum, and more. You can also sign up for our free newsletter.